When something says the "Original" it usually means its been duplicated. 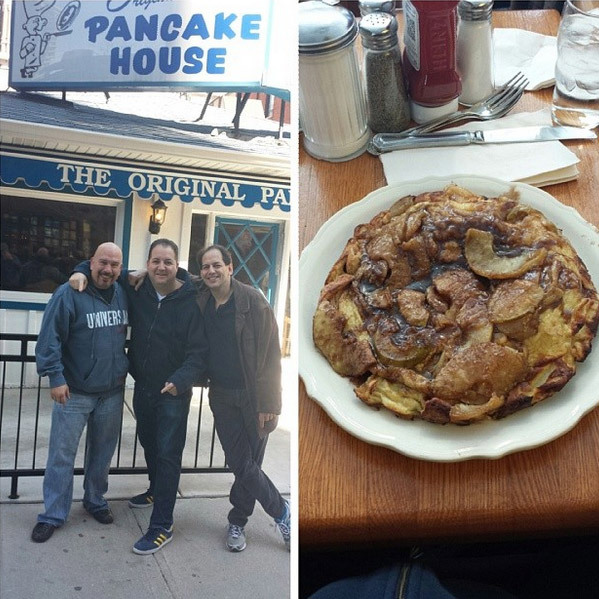 And when it comes to the Original Pancake House, rest assured, it's worth duplicating. Go for the German Apple Pancake. Golden apples, cinnamon, brown sugar… trust me. If Apple pancakes aren’t your thing, check out the big and fluffy omelets or my other favorite, the Dutch Baby - a little powdered sugar, lemon and blueberries… watch out! This place is worth visiting more than once. A trip to Chicago calls for a deep dish pizza. I tried my share so I can honestly say that Lou Malnati’s is the best in town. Order the classic with sausage. Deep dish pizzas take at least 30 - 40 minutes so be sure to order the house chopped salad as a starter. Stephanie Izzard is el fuego (ON FIRE!). 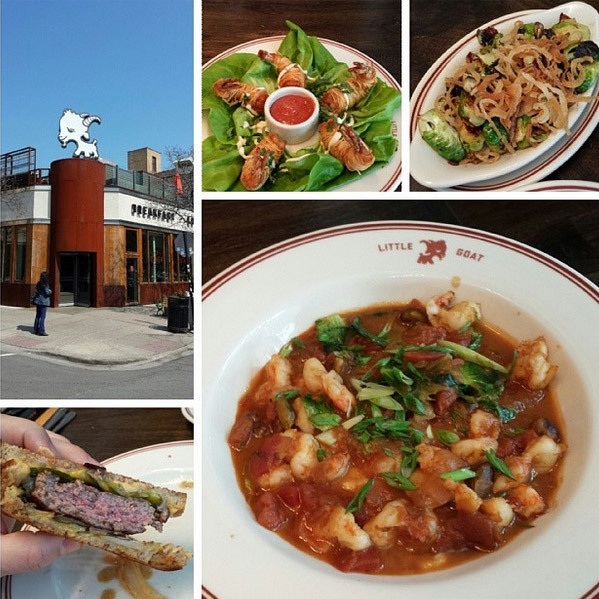 The Girl and the Goat is even better than I remember and her new "diner” -The Little Goat, was off the charts. Try the crispy shrimp cocktail and ramen noodle wrapped fried shrimp. A new take on the classic Chicago steak house. The caesar salad with smoked whitefish is a combo of two of my favorite things and man was it good. Perfectly seasoned and cooked steaks and burgers. The chocolate cream pie was as decadent as they come but I highly recommend the ice cream with the liquid hard shell that you pour over yourself. 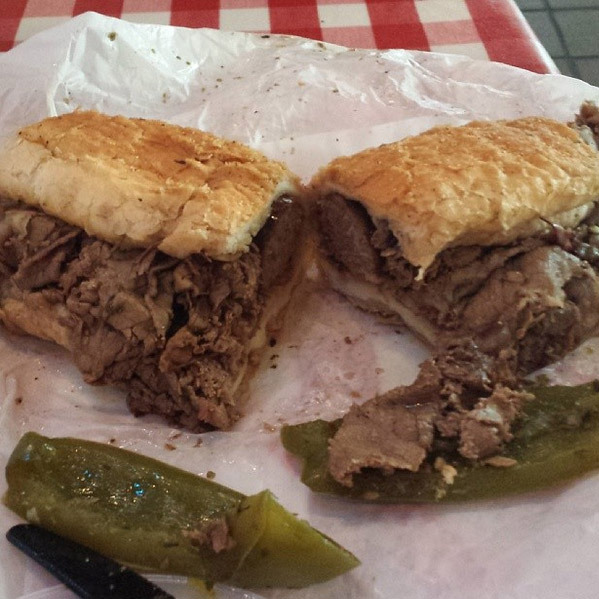 Italian Beef Sandwiches are another Chicago classic. After trying my share of the local offerings, my hands down favorite is Portillo's. Get the Italian beef sausage combo WET, dunked in gravy and call me later to say thank you. I never leave Chicago without paying respect to my mentor. While the steaks are dry aged in a room with Himalayan red rock salt, the real show stopper here is the red velvet cake baked in a tin...literally baked in a tin! As a nod to our inner child, they bring out the metal mixers and let you lick the batter off as a warmup for the real thing. Burke always taught me how to have fun with food and I love him for that. You will too. The New EATALY is the best market in Chicago and definitely worth a visit. 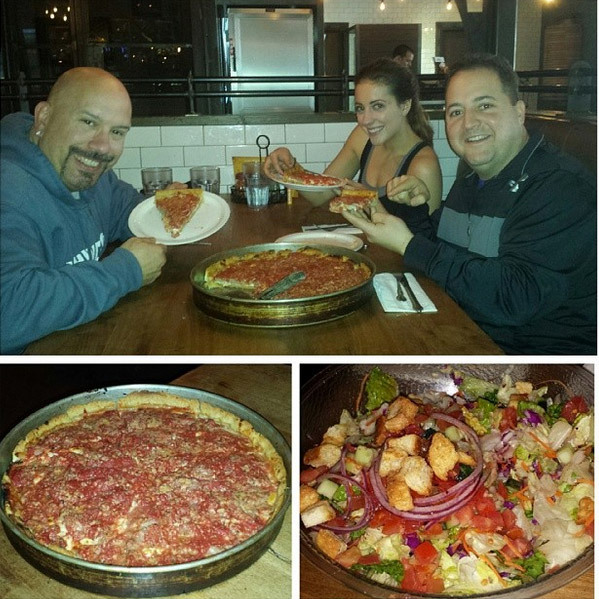 Stop by Smoke Daddy for a little BBQ and grab a deep dish pizza at Grimaldi’s. 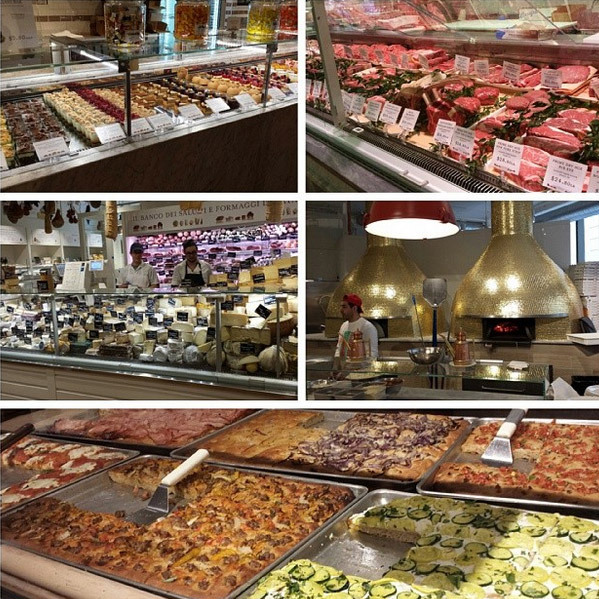 Any Eataly is like a shrine or mecca to some of the best stuff you have ever seen. 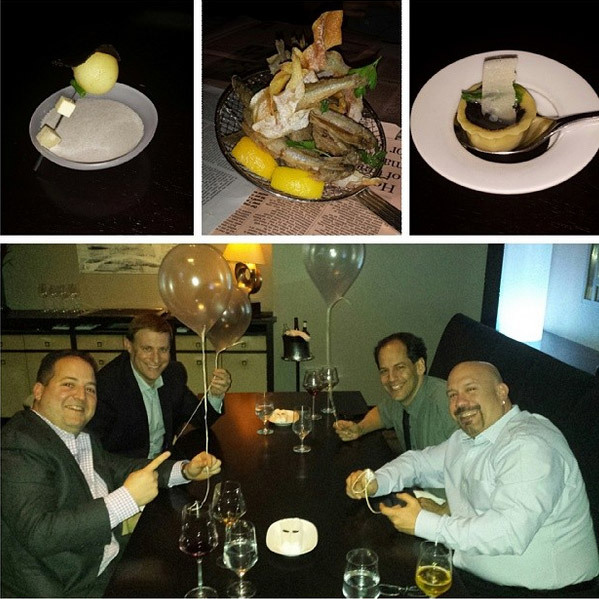 The most magical meal you will ever have. I like to think of it as a magical dinner theater experience that combines food with art and science. It’s a meal you will never forget. Reservations are tough to come by so plan in advance. You won’t be sorry. 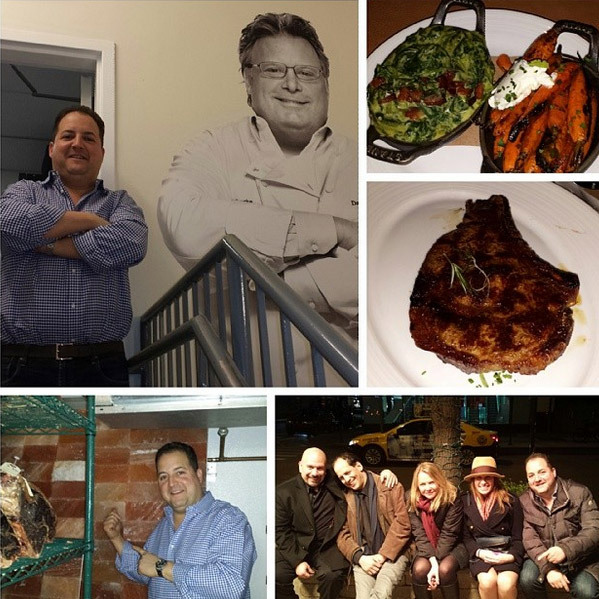 Paul Kahan. If his name is involved run, don’t walk to his restaurants. 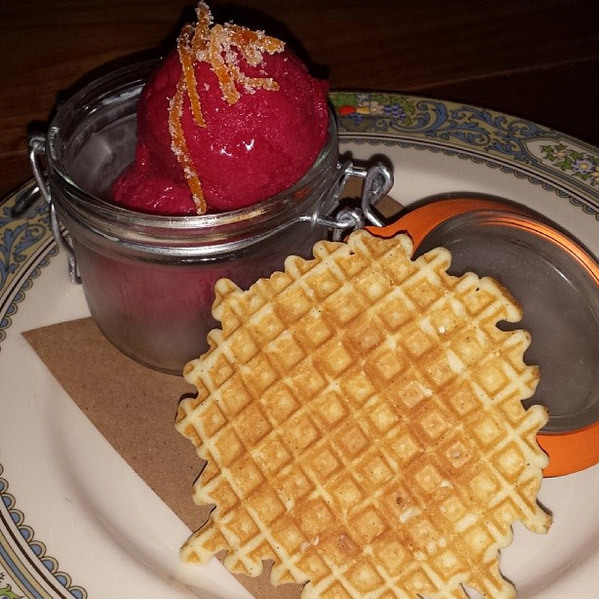 Publican has a rotating menu and every option is a winner. The stuffed pappardelle at Nico Osteria at the Thompson Hotel was off the charts. I am also a fan of the crudos, salads and just about everything on the menu. The service was spectacular. If you’re planning to stop by ask for Zach and tell him I sent you.